Specially designed and suited for commercial, industrial or military space management concerns which require urgent building solutions. Panel Built has meet all such needs with perfection, having the best engineers to provide the best exterior or interior systems that are assembled in our factory and shipped directly to you which are completely assembled, ready to go. Panel Built offers Guard Shacks, Guard Booths, Guard houses, Pre-Assembled Buildings and in-plant offices Engineered to Perfection with Top of the Line Quality. Panel Built can provide you with a vast selection of the best pre-assembled interior and exterior buildings. These building are designed to be efficient and easy to transport. Without the need to disassemble, these building can easily be moved by using a crane or a forklift and transported by a truck without any hassle. Once transported it is ready for immediate use. Build to withstand demanding conditions our exterior buildings, modular offices, guard house, guard booth and guard shacks are designed for efficient use. Our team of professionals builds durable exteriors with maximum strength. Technological advancement have made people started to look for a cheap yet reliable solutions for buildings. We are no longer in the old days, where countless number hours of money and sweat were spent on building construction. According to a survey conducted with over 800 contracting professionals and engineering, 65% reported decreasing cost with 77% reduction in construction waste. Why are Pre-Assembled Buildings & pre-assembled modular offices preferred above traditional construction? √ Cost-efficient: Pre-engineered modular structures whether offices or buildings are more economical and practical which is why they have gained popularity. Prefabricated metal buildings are far superior to regular building structures at resisting damage from fire and extreme weather conditions. √ Fast & Simple Installation: Pre-Assembled Buildings have a predetermined and streamlined process to build and neither an architect nor an engineer is required for the process. √ Save Time: A key benefit of pre-assembled modular offices is that these buildings can be completed with great speed and ease. A complete and customized metal building kit is delivered to the customer within a few weeks. √ Versatile & Long Lasting: The construction material used in these modular structures is of high quality and they are more durable, long-lasting, and inorganic requiring rarely any maintenance. √ Environmentally Friendly: Pre-assembled modular offices and buildings are energy efficient and easy on the environment. Metal roofing and siding reflect sunlight as well as heat which in turn keep the interior cooler during summers and warmer during winters. Why is a portable guard shack preferred by businesses? √ Order online with ease: With an online presence, you can now order a prefab guard by calling and speaking to one of our representatives. Panel Built has a service center in almost every state. If you need a one on one session you can visit an outlet near you and we will help you with your requirements. √ Fast Shipment: With our quality human resource and integrated systems, expedited shipment is done to make sure our clients get the product as soon as they finalize their choice. √ Lightweight and Movable: Due to the materials and technology used in making these booths, they are extremely light in weight yet versatile. These booths can easily be moved from one place to another by a fork lifter and they come with a forklift pocket. Guard shacks can even be placed in rooftops for a 360-degree view. √ No Assembling required: Prefabricated booths are always the best choice for an onsite construction. It does not require any installation and can be kept almost anywhere. These booths also have inbuilt electrical outlets and switches so installation is not required. 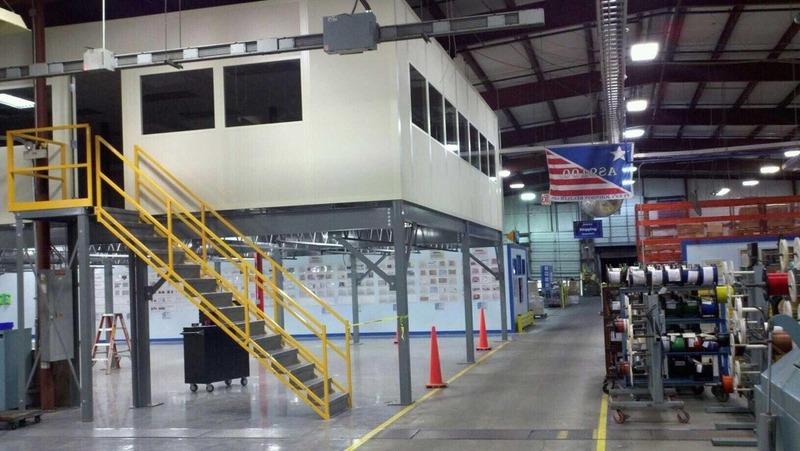 Panel Built Inc. is a world class manufacturer of modular offices, prefabricated buildings and steel mezzanines. We believe in total customer satisfaction. We pride ourselves on listening to our client’s space needs and providing creative solutions within their budgets. Our customers, dealers, and employee relationships are the foundation of our company. All modular structures are simply a click away via the website and at the most affordable rates in America. The most affordable rates in America are given with the best quality, design and structures that are unparalleled. Our team of professional engineers have designed some of the best modular offices and structures that have met many customer needs. We do make sure that our customized solutions keep bringing customers back to us.